Shopping for a new Chevrolet Trax? If you want all-wheel drive, the 2018 Chevrolet Trax is one of the least expensive ways to get it; at any trim level, it’s a $1,500 option. The 2018 Chevrolet Trax is the smallest utility vehicle offered by Chevy. The Equinox and Traverse crossovers sit above it in the lineup. You can think of the Trax either as a small SUV or a tall hatchback, and it makes up for a lack of flash with good value for money. The Trax is offered in three trim levels: base LS, mid-level LT, and top-of-the-line Premier. In the smallest crossover segment, most entries strive for stylistic flair, while Chevy takes the opposite tack. 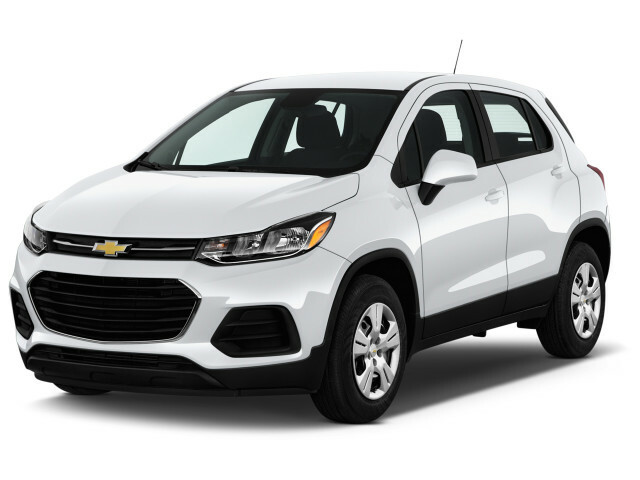 With the Trax, Chevy offers a high-riding, straightforward, practical five-door vehicle with optional all-wheel drive but only a single powertrain. The 2018 Trax’s ratings are average for design, and quality and comfort. It does well on safety and features. 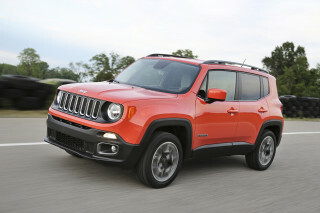 Its weak spot is performance—it’s slow—and fuel economy that’s not quite up to the standard of the best subcompact SUVs. The 2018 Chevrolet Trax has less flair than many competitors; its design is simple, straightforward, and practical. 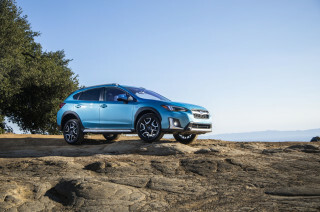 Because its styling isn’t all that distinctive, the Trax may be the invisible small SUV: we know Chevy sells quite a number of them, but competitors like the Honda HR-V and Mazda CX-3 simply stand out more for their style. The basic shape of the 2018 Chevrolet Trax falls between a tall hatchback and a short SUV. It doesn’t have a third window behind the rear door, and that skews the balance toward hatchback despite the tall stance. While the Trax shares underpinnings and even its front doors with the more premium Buick Encore, you’d never know it; the two vehicles have distinctly different styling. The Trax is straightforward and lacks any of the flair of competitors like the Jeep Renegade, Mazda CX-3, or Mini Cooper Countryman. 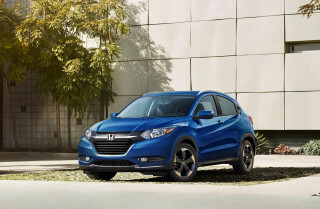 Now in its fourth model year, the Trax benefited from a styling update last year that brought the front end into line with newer Chevy models, sharpening the narrow upper grille between the swept-back headlights and making the lower opening larger. All but the base model get LED running lights and taillights. That LS base model, however, is remarkably plain, standing out not only for its lack of chrome trim and econocar black-plastic door mirrors, but also for its steel wheels hidden by silver plastic wheel covers. Inside, the Chevy Trax is straightforward if a little heavy on the black plastic. Even the base black-clothing upholstery is accented with blue stitching, relieving the grimness. Chevy has moved away from the twin-cockpit design and fitted a more traditional dashboard that flows horizontally, along with conventional instruments for the driver. The top-of-the-line Premier version adds contrast stitching on the instrument panel, more appealing two-tone upholstery, and patterned trim replacing more basic black plastic panels on parts of the console. The 2018 Chevrolet Trax has average ride and handling, but its acceleration is slow even in a class not known for speed or sportiness. The 2018 Chevrolet Trax remains unchanged mechanically in its fourth year, with a single powertrain and a choice of standard front-wheel drive or all-wheel drive as an option. 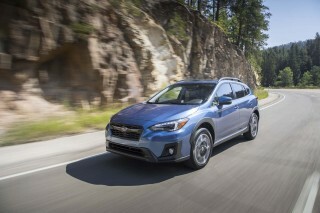 Its ride and handling are fairly typical for the segment, but it’s slow even in a group of small SUVs hardly known for zippy performance and blazing acceleration. The 138-horsepower 1.4-liter turbo-4 engine is mated to a 6-speed automatic transmission, but the Trax has neither a manual gearbox nor a more powerful engine available. Peak torque is 148 pound-feet, available from a relatively low 1,850 rpm. The gears in the transmission are widely spaced, giving a high sixth gear for relaxed and fuel-efficient highway cruising, but the little turbo-4 lacks enough oomph to get up to highway speeds expeditiously. If you’re planning to pass at those speeds, you need to plan ahead carefully. Like many of the smallest SUVs, the Trax is based on subcompact-car underpinnings, in this case the Chevy Sonic hatchback or sedan, including that car’s front struts and rear torsion-beam suspension. The electric power steering is responsive and gives good maneuverability, and the ride and roadholding are comfortable and controlled, if nowhere near sporty. The 2018 Chevrolet Trax can hold four adults and has roughly average cargo volume, with lots of interior bins, trays, cubbies, and cupholders. Front seats are comfortable and taller drivers will find their lower cushions sufficiently long, which isn’t always the case. While top trim levels get power adjustment, the backrest angle can only be adjusted using a very short lever drivers will have considerable trouble finding at first. Front-seat occupants will find their shoulders quite close, though, a tip-off to the modest dimensions of the Trax. The rear seat is acceptable for adult riders, though we suspect it won’t be occupied much; families are more likely to opt for the larger Equinox compact crossover. Chevy went to town on storage cubbies, trays, multiple cupholders, upper and lower door bins, and a pair of gloveboxes, offering 15 places to put stuff. Favorite features are vertical smartphone slots with rubber liners on either side of the ventilation outlets in the center console. But there’s no console between the seats, just a single fold-down armrest for the driver. The rear seat lower cushion can be folded forward by pulling on a fabric tab, and the seatback then folds essentially flat after lowering the headrests simply by pulling one of two release levers on either side. The front passenger seatback also folds forward as well. 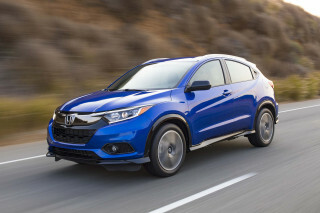 There’s 18.7 cubic feet of cargo volume with the seat up, 48.4 cubic feet with it folded down, about average for the segment, but slightly lower than the voluminous Honda HR-V. The ride is suitably quiet, though the engine can get harsh when it’s used hard, and highway acceleration requires drivers to do just that. The build quality of the Trax test cars we’ve driven has been good, without squeaks, buzzes, or rattles. The 2018 Chevrolet Trax does well on safety scores, but active-safety features are only offered on higher trim levels. For a mainstream brand like Chevy, safety is important even in its smaller vehicles—or perhaps especially there. The 2018 Chevrolet Trax gets good safety ratings, receiving uniformly “Good” ratings from the IIHS, its top score. Similarly, the NHTSA gives the Trax five stars overall and five stars in every rating except rollover safety, where it gets four (not uncommon among tall utility vehicles). A rearview camera is standard, but forward-collision alert and lane-departure warning systems are standard only on the top Premier trim level—and not available on any other version. Three other safety features—rear cross-traffic alert, rear park assist, and blind-spot monitors—are standard on Premier as well, but can also be ordered as an option on the mid-level LT version. Every Trax comes with 10 airbags as well. The 2018 Chevrolet Trax has good standard and optional features for the price, especially in connectivity and infotainment. 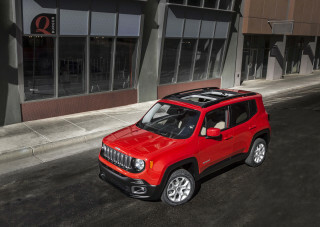 Every Trax comes with a rearview camera, air conditioning, keyless entry, a 7.0-inch touchscreen, OnStar with 4G LTE connectivity and wi-fi hotspot capability, and the MyLink entertainment system. The base LS has steel wheels and silver plastic wheel covers as well as the black door mirrors. 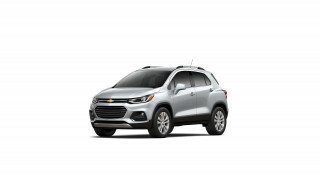 Step up to the mid-level Trax LT model and you get 16-inch alloy wheels, cruise control, satellite radio, remote start, and roof-mounted side rails for various luggage carriers. Options on the LS include keyless ignition, a power sunroof, and a Bose premium seven-speaker audio system—all of them standard on the top Premier level, which adds active safety features. The LS and Premier also offer optional 18-inch alloy wheels. New this year, a special Redline trim package is available on the mid-level LT only, consisting of black 18-inch wheels with red accents, various trim elements in black (grille, door mirrors, beltline trim, and various emblems and badges) plus black cloth and synthetic leather upholstery. The Chevrolet MyLink system, accessed through the touchscreen, includes Bluetooth pairing for music and phone, a USB port, an auxiliary input jack, and both Android Auto and Apple CarPlay. Navigation can be provided via smartphone mapping services connected via one of those interfaces. The 2018 Chevrolet Trax gets OK fuel economy, but competitors have higher EPA ratings. With standard front-wheel drive, the 2018 Trax is rated at 25 mpg city, 33 highway, 28 combined. 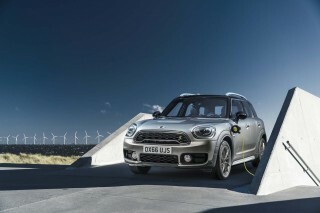 That falls slightly when the optional all-wheel drive is added, to 24/30/27 mpg. While the 2017 Chevrolet Trax gets better fuel economy than the average new car sold in the U.S. today, it’s not as fuel-efficient as competitors in its class. 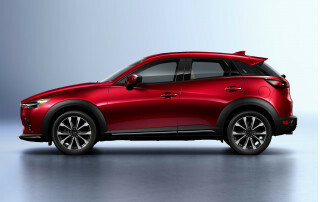 All-wheel-drive versions of both the Honda HR-V and Mazda CX-3 come in at 29 mpg combined, and that rises to 31 mpg for each when fitted only with base front-wheel drive. 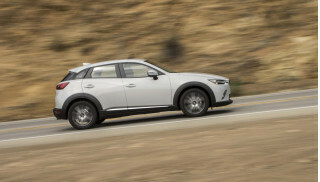 The is the car is nice and has a lot of features like phone apps connection, OnStar, Rear Camera, etc.., but the car is mission sunroof and alarm sound as was available on Trax 2015 LT.